Terry Sanford? That Terry Sanford? Governor and Senator from North Carolina? President of Duke University? That guy? Got to be a story here! Sorry anon - should have been more clear. I'm referring to Terry Sanford, Jr. - his son. I've added a "Jr." for clarity. I used to work for the company on Rodolphe St, south of this site. During some expansion, I believe, they discovered some graves of slaves in the woods of the property. The company cordoned off this area to preserve the site. There was path created through the woods so folks could walk up and see it. There is also an old structure at the front entrance of the company campus that looks like some type of plantation building. This area had to have been part of the Stagville/Farintosh plantation. I didn't realize how close together these two plots of land were until I viewed the Google map. By the way, I love this site. I'm the one driving slow around town checking out places you've highlighted here! Is there anything in Durham that TS Jr. doesn't own, used to own, or have a finanical stake in these days? Surely the guy has a business office. Maybe if someone called and did a spin on wanting to show an example of a fine old home well-preserved and please may we have one picture" he'd be flattered enough to comply. Ok, so maybe he'd like the PR enough to comply. Duncan Cameron married Rebecca Bennehan - not Mary Benneham. Mary Amis Bennehan was Rebecca's mother. I believe that there are pictures of Fairntosh in Catherine Bisher's North Carolina Architecture Book. I once saw an exhibit of the pictures in large size at the Oxford Museum of History. I use to live there. I rented a refurbished tobacco barn. I came across this post while researching my family history. The carpenters for the Fairntosh Farm were my 3rd cousins 6 times removed, in other words, their 2nd great grandfather was my 8th great grandfather. Your post has provided quite a bit more recent information for the property along with historical information, and by far has more pictures of the property than I have seen anywhere. Thanks for helping me connect more with my past! My surname is Farintosh and we have roots that go back to this area of NC. I wondered if anyone could help me figure out if Fairntosh and Farintosh are of the same. My family is very small and we had ancestors move to NC from Scotland but the information is very limited. Anyone have an idea of where to start? My great-grandmother and her son drowned at Fairntosh. Her name was Corinna Glenn. An article about it is in the April 5, 1892 Durham Sun. My great-grandfather on my mother's side; William David Turrentine; was the overseer mentioned in this article. He is buried at Bahama Methodist Church near Staggville. If anyone is interested, I am currently reading a book called "To Free a Family, The Journey of Mary Walker" of which is written by Sydney Nathans. This book has a wealth of information regarding Duncan Cameron and his family. There are also photos (some of which are on this site) and some that I have only seen in this book. Mary Walker was a very brave woman, who left her children behind to escape slavery. Two decades later, Mary Walker was able to reunite with her family. This book is definitely a "must read" if you are interested about Fairntosh. I am only on page 21 and can't put it down! My Mom's paternal side of the family (Fogleman) moved over from Alamance County after the Civil War to be employed by the Cameron Family to run their mills and help farm their land. According to family information Red Mill Rd. was named for my great grandfather because he had red hair (German descent). I have been researching this for a while now and read anything pertaining to Stagville that can be found. Your website, Open Durham, is very interesting, especially the pictures of very old houses and neighborhoods of Durham County. 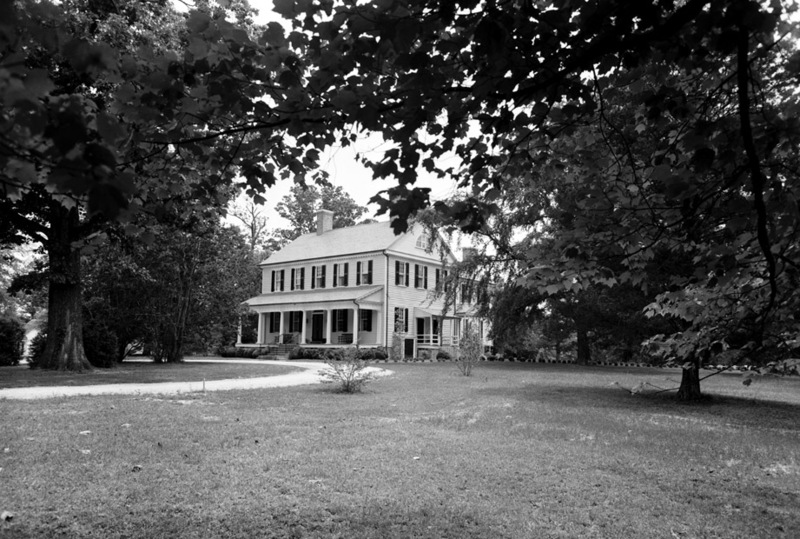 The site of Fairntosh was originally part of the Stagville Plantation, owned by the Bennehan family. 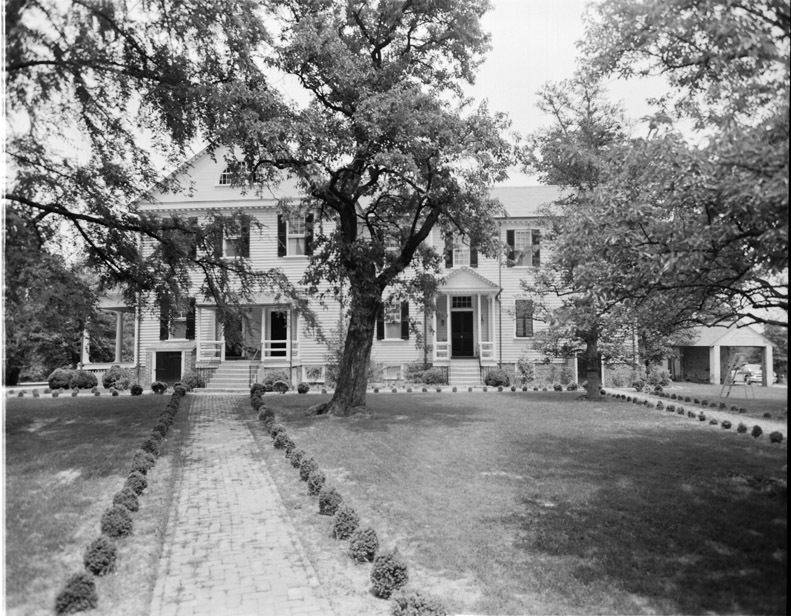 After Duncan Cameron married Rebecca Benneham in 1803, the couple lived at Rebecca's homeplace, Stagville for several years before beginning building their own house in 1810. Cameron had previously built a house and law office for himself in Hillsborough in ~1801, but sold this in 1807. Fairntosh began with the gift of 300 acres from Richard Bennehan to Duncan Cameron, evidently for the express purpose of building a house. The house was initially called Woodvill(e) by the Camerons, but by 1813 they seem to have settled on Farentosh/Fairntosh - after the birthplace of the Reverend John Cameron in Scotland. They appear to have moved to the house ~1811, and certainly by 1813. The kitchen building was added in 1814. Piazzas and colonnades were added by 1817, and a chapel, named Salem, was built in 1825-6. 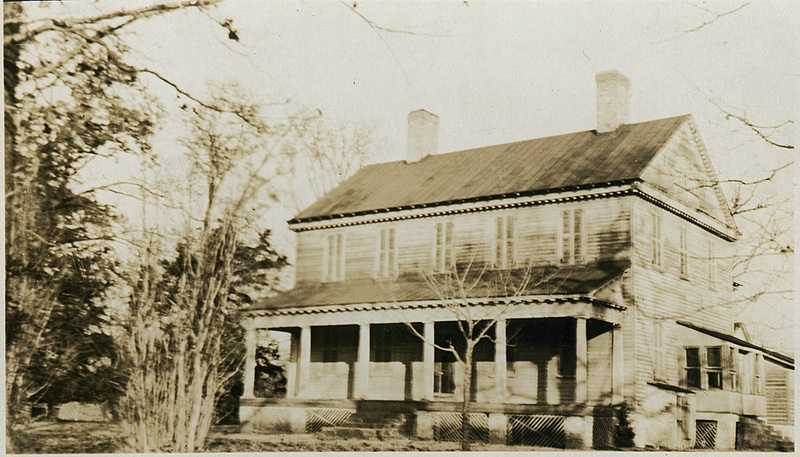 Numerous farm buildings, overseer houses, houses of enslaved people, and other buildings were added during the mid-19th century. With the death of Richard Bennehan, Stagville passed to Thomas Bennehan. Duncan Cameron was clearly the manager of the large plantation by that time, and Fairntosh was its epicenter. The Camerons continued to acquire land during the entire 19th century, and the plantation encompassed ~30,000 acres by 1890. While only a portion of this land was farmed, it obviously took a great deal of labor to sustain the business of the plantation, which was provided primarily by enslaved people. Paul Cameron, Duncan's son, held a large number of enslaved people, ranging from ~600 to approximately 900. They farmed wheat, corn, oats, potatoes, cotton, and tobacco and also raised sheep and cattle. A general renovation and reconstruction of the buildings occurred in the 1850s, including renovations of Fairntosh the construction of houses and the big barn at Horton Grove. After emancipation and Reconstruction, the houses and farm fell into some disrepair. Duncan Cameron - this one being Paul's son - began to adapt the farm to a system that did not rely on slavery, and began to refurbish the buildings. Duncan, however, died in 1886 from cancer - before his father Paul, who died in 1891. When Paul died, the massive plantation splintered, but Bennehan Cameron, who had lived at Stagville during the 1880s, inherited the tracts of land with Stagville and Fairntosh on them. After his brother Duncan's death, he came to live at Fairntosh. Bennehan, like his father and grandfather, trained as a lawyer, and soon veered into politics. The rise of Durham to the southwest brought him into business ventures there. By 1897, he had moved to Raleigh, and Fairntosh remained, as Stagville, under the guidance of an overseer. Presumably there were tenant farmers and hired labor who tended to horses, livestock, and crops. Bennehan died in 1925. Fairntosh and Stagville languished during the mid-20th century, falling again into disrepair. Fairntosh, undated, but likely 1920s. 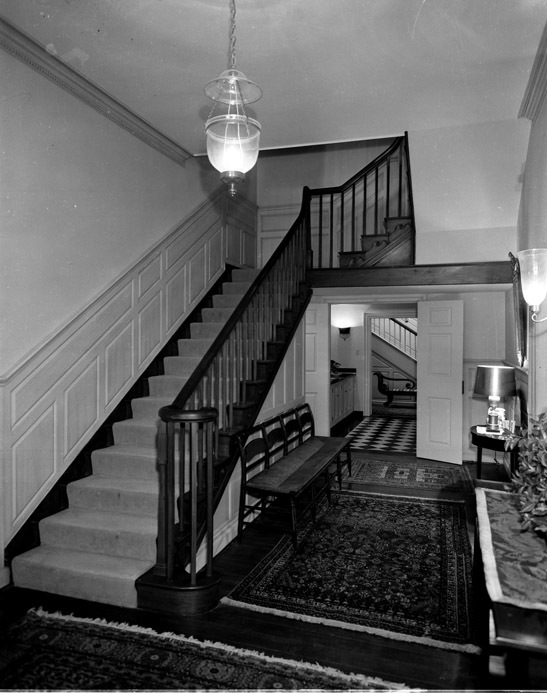 Fairntosh, then 3600 acres, came into the hands of Cameron's daughter, Sally Labouisse, who renovated the house during the 1950s. She sold the property to William McFarland in 1974. 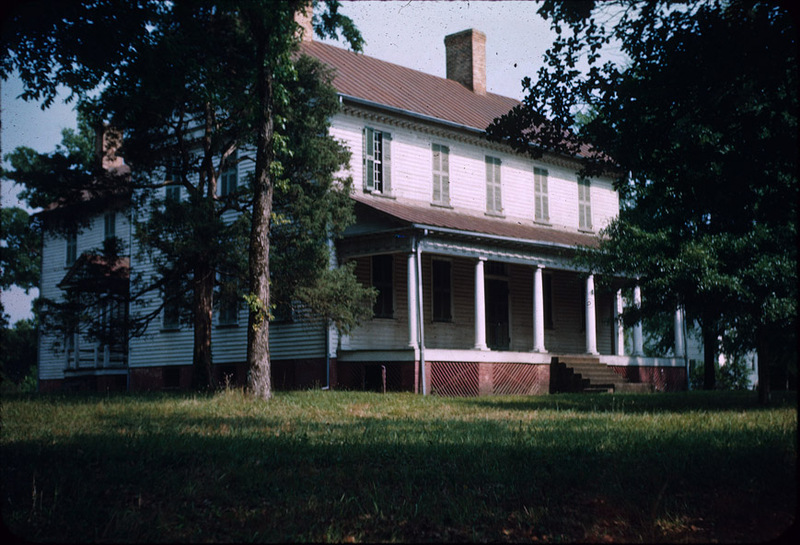 Sometime thereafter it came into the possession of Terry Sanford, Jr.; I don't know the history of the development of Treyburn, but all of Treyburn was once part of the Stagville-Fairntosh plantation, and I assume that Sanford acquired Fairntosh and the land at the same time. As of ~2005, Sanford, developer of Brightleaf Square and the Erwin Mill/Erwin Tower, still lived at Fairntosh.